London based Marketing Consultant, Imran Ahmed organised a Celebrity Cricket match to raise funds for the Rohingya crisis. 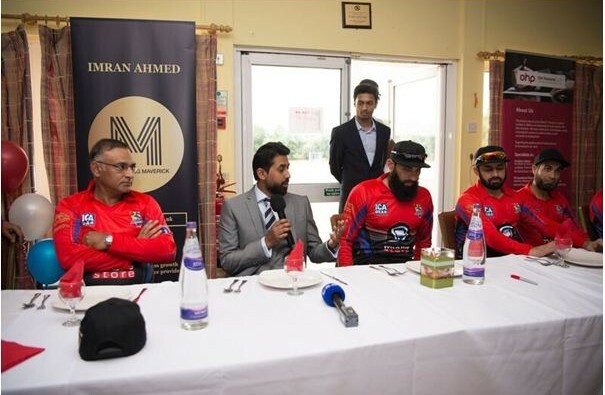 The match was held on Sunday 22nd July 2018 at Slough Cricket Club where a team of 11 international cricket stars including Imran Tahir, Misbah Ul Haq (ex Pakistan Captain), Saeed Ajmal, Saqlain Mushtaq and Iain O’Brien amongst others played against local players from Chesham, High Wycombe and Slough. The event was supported by Chesham Asian Welfare Society (CAWS) who was celebrating its 10th year Anniversary. It was the first time Slough or neighbouring areas had hosted an event to this extent where people had the opportunity to see not one but 11 international stars. The day was well received and will be remembered for many overs to come!